"Dear Sir," read the handwritten letter addressed to Henry Ford. "While I still have got breath in my lungs I will tell you what a dandy car you make. I have drove Fords exclusively when I could get away with one." "Get away" being operative words - the letter was signed, "Yours truly Clyde Champion Barrow." Barrow's preference for Fords with what then was a powerful engine begs this question: What would be today's great getaway cars? The letter, which is in possession of the The Henry Ford in Dearborn, went on to say: "For sustained speed and freedom from trouble the Ford has got ever other car skinned and even if my business hasen't been strickly legal it don't hurt enything to tell you what a fine car you got in the V8 -"
Ted Ryan, archives and heritage brand manager for Ford, notes that "no one has every truly verified the handwriting to prove conclusively that it is Clyde Barrow's. That is part of the fun of history. Personally, I think it is true." "The resulting engine was a modern marvel and provided the power the public was looking for at a price they could afford," he said in an email. 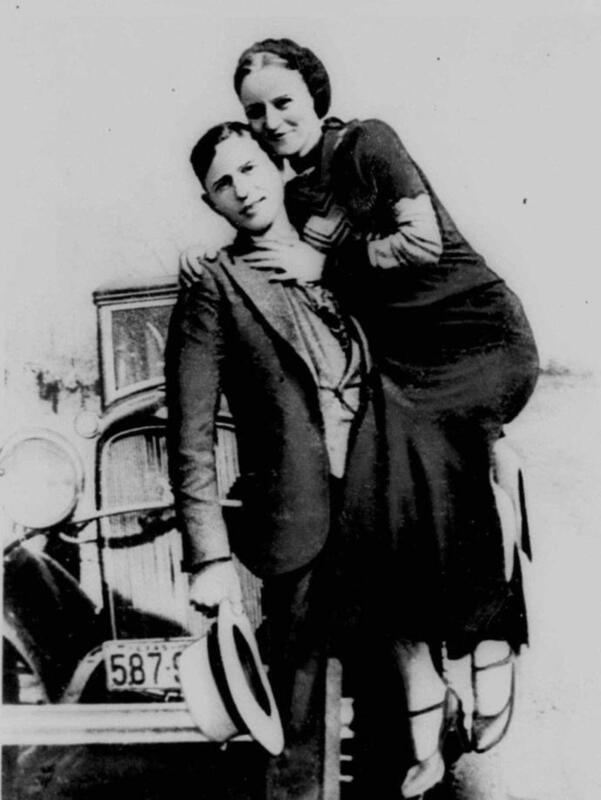 "Suddenly, higher powered engines were available to everyone, including Clyde Barrow." Introduced at this year's Detroit auto show, it's the most powerful street-legal Ford ever. It might also draw too much attention to itself. "In the spirit of the last great chase movie, 'Baby Driver,' in which a banged-up old 4 wheel-drive Chevy Avalanche pickup ran rings around the entire Atlanta PD, I'll take a 2019 Jeep Grand Cherokee Trackhawk. "It may look like just another SUV picking up little Charlotte from ballet practice, but with a 707-horsepower supercharged Hemi V8, the Trackhawk hits 60 mph in 3.5 seconds and a top speed of 180 mph. That's faster than a BMW M3. Plus, you can use its ground clearance and 4wd when you head for the hills, going off-road when the heat closes in." Contact Randy Essex: REssex@freepress.com. Follow him on Twitter @randyessex. Read more on autos and sign up for our autos newsletter. Mark Phelan, Eric Lawrence and Phoebe Wall Howard contributed to this bit of frivolity.